Although edible, the sweet potato vine is generally grown as an ornamental. These perennial (or often annual) vines are a wonderful addition to any garden. They look absolutely gorgeous spilling over a tall container. 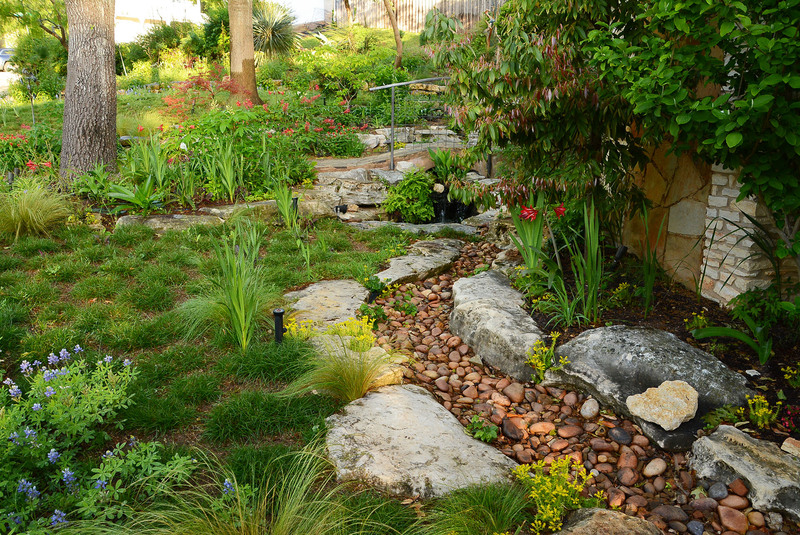 You can also allow the vines to cover the ground and fill in large areas. They thrive in our heat and can take the full sun, but they also do well in light shade or bright filtered light. 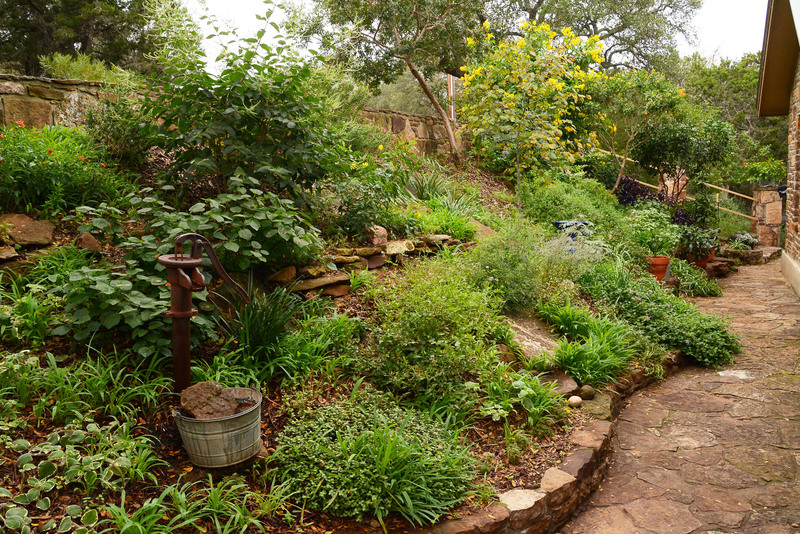 Soil: Most soil types, as long as well-draining, or well-draining container soil. Light: Sun, shade, filtered light, heavy shade but less vigorous. In full sun, it will need more water. Size: Trailing to several feet unless cut back. Cuttings are easy to root. Flowers: None. These plants are grown for their foliar attention. Two very common cultivars are ‘Marguerite’, which is chartreuse green, and ‘Blackie’, which is deep purple. The very intense colors of these plants make them a perfect mood-lifter in the summer heat. 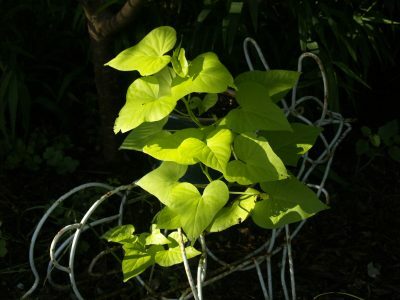 Water: Sweet potato vines require very little water once established (except in full sun). Hardiness: They are listed as hardy to USDA Zone 8b, or 15 degrees F, so in a hard winter, they might freeze and die. Replant again in spring. Certain cultivars may be even more frost tender, so be sure to protect them from the cold, whenever possible.